Love from Grand parents is completely different that from parents. As grand parents are experienced in parenting and have more patience, children tend to show more love to them. Grand parents also pamper kids a lot while making them learn good habits with nice bed time stories. Because of nuclear families and parents living very far from their home towns, children don't get much opportunity to spend time with their grand parents unless on holidays. Wont it be good if we spend holidays with children in Parent's home? 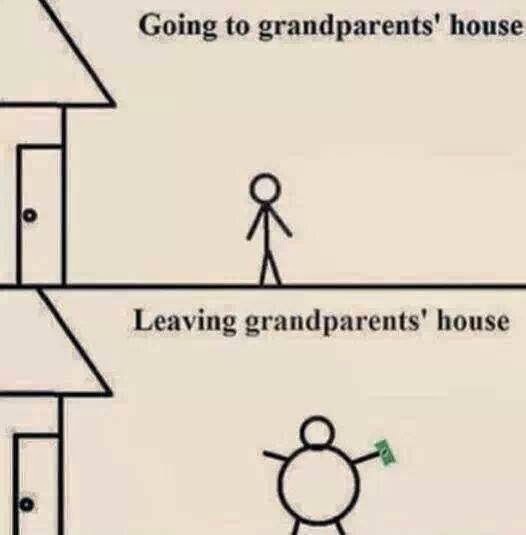 Oh Grandparents how I miss mine and my daughter's too! Miss the pampering the most.